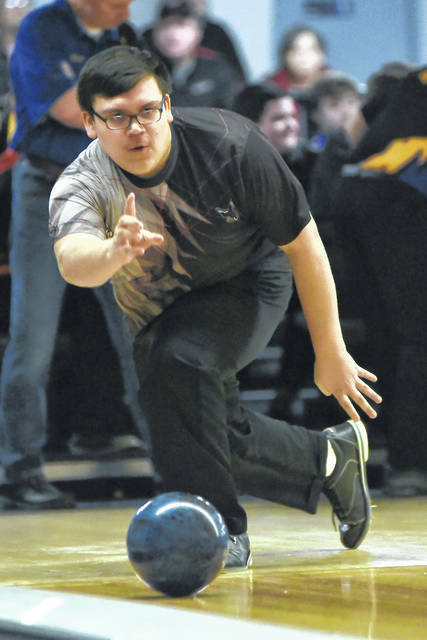 The Mississinawa Valley boys bowling team won the year-end team tournament championship last Saturday. 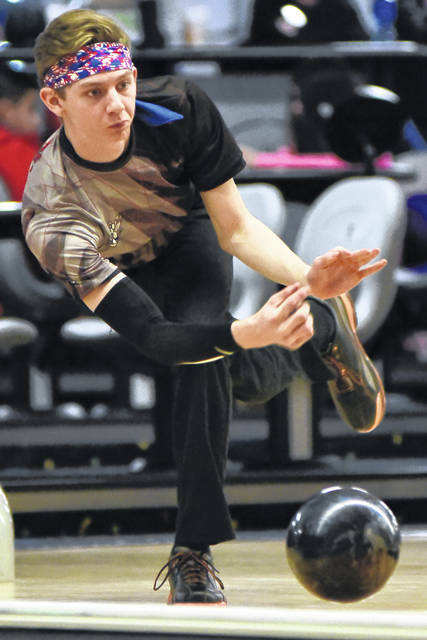 Mississinawa Valley’s Zac Longfellow was the first-place individual champion on Saturday in the WOHSBC bowling tournament. UNION CITY – Mississinawa Valley and Ansonia bowl in the WOHSBC which is comprised of 8 Midwest Athletic Conference schools, 2 Cross County Conference schools and 2 Shelby County League schools. 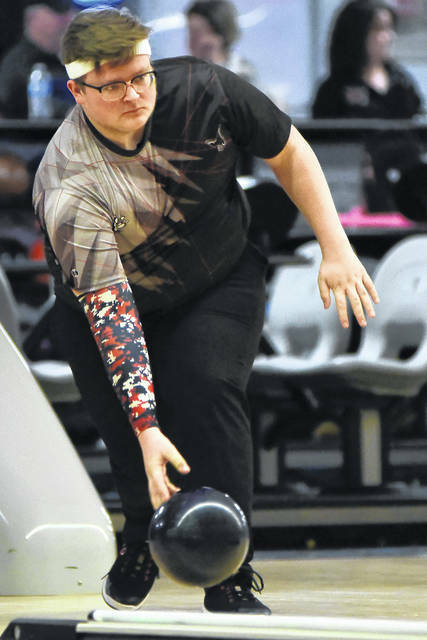 The 8 MAC schools have a year-end tournament leaving the remaining 4 schools – Mississinawa, Ansonia, Russia and Ft. Loramie – to hold their own year-end tournament that was hosted by Mississinawa on Saturday at Woodcrest Lanes in Union City. 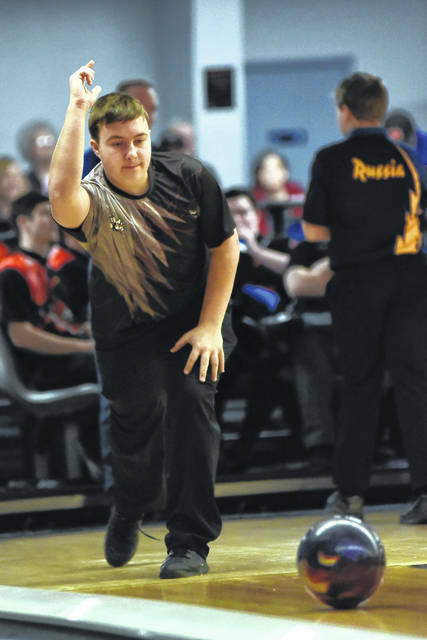 In the boy’s tournament after one round of play Russia led by 17 pins and just 39 pins separated the 4 teams. Mississinawa Valley had a good second round to jump out in front, but still only 85 pins separated the 4 teams. After the third round, the ‘Hawks still in led by 167 pins with Russia and Fort Loramie in second and third with one pin separating Fort Loramie and Russia and Ansonia in fourth place. 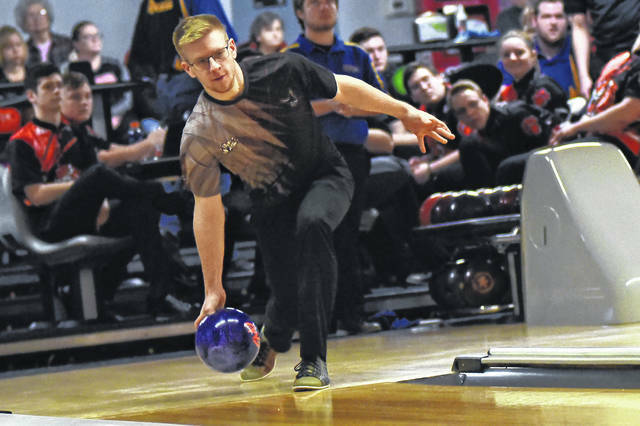 The Baker games can make or break a team in bowling because everyone’s game counts as opposed to the top 4 bowlers scores in the regular rounds. 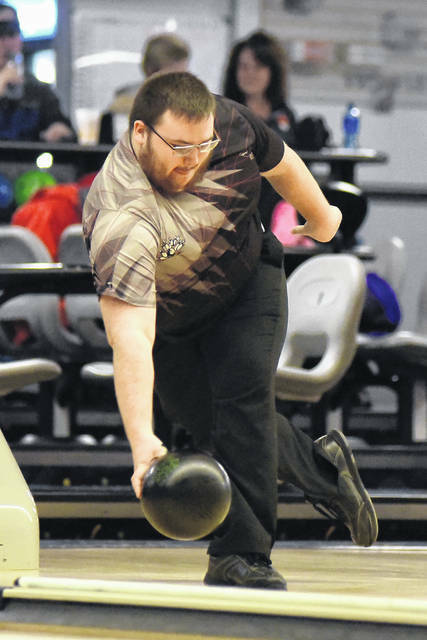 Mississinawa threw well enough to hang onto the lead to win the Non-MAC tournament. 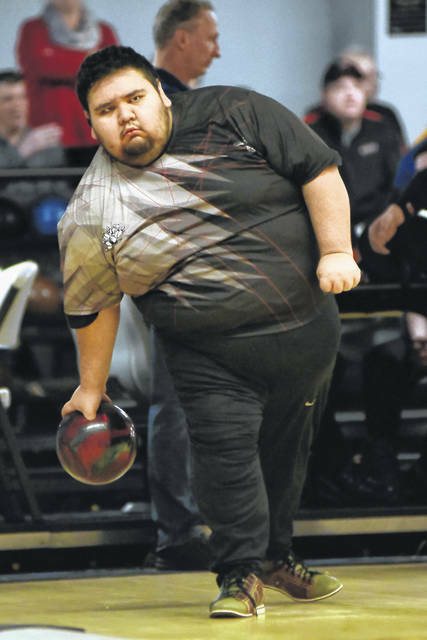 Mississinawa finished 112 pins ahead of Fort Loramie rolling a 2727. 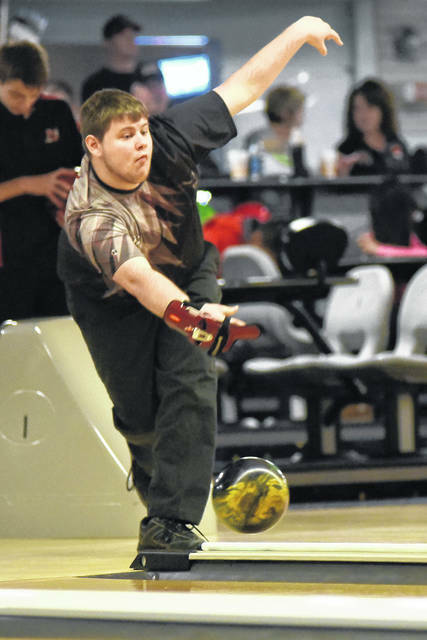 Fort Loramie was second with 2615 followed by Russia in third at 2588 and Ansonia in fourth knocking down 2288 pins. 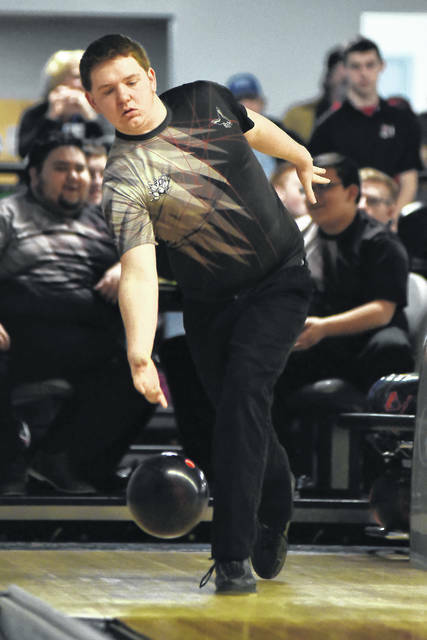 Mississinawa’s Zac Longfellow had the high game of the day with a 203 and a high series with a 584. Mississinawa concludes the regular season at 6-8 overall and 3-8 in WOHSBC matches. 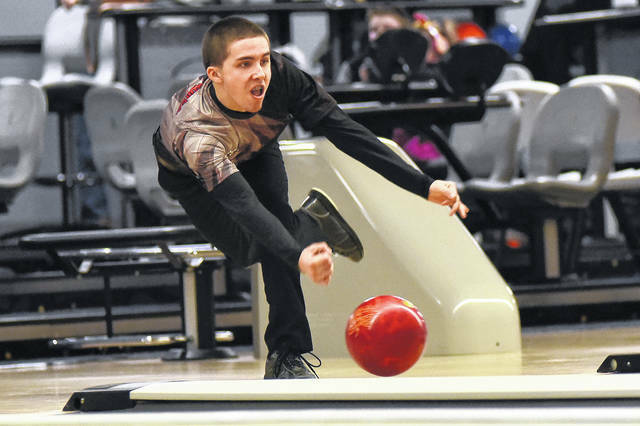 “We had several matches that were within 100 pins and a few that we just did not bring our A-game,” MV coach Alan Longfellow said. 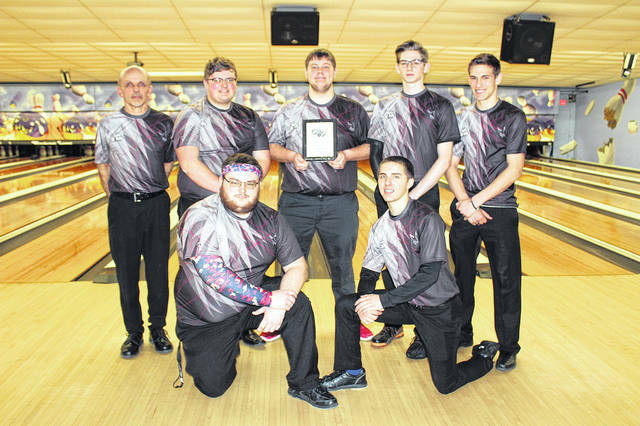 “Some of the boys always say, ‘If only I would have thrown a better game,’ or ‘Why did that happen.’ One thing I can say is these bowlers put in as much work as they can. Several work or have other obligations and it gets hard to find the time to practice all the time like some of the other schools,” Longfellow stated. “Hopefully we can finish the season with a good showing at Sectionals and get someone into the Districts,” Longfellow concluded.